International Journal for Communisation. Number 1, Says its a journal but looks like a book! The present journal aims to be the locus for an unfolding of the problematic ofcommunisation. It comes from the encounter of individuals involved in various projects in different countries : among these are the journals Endnotes, published in the UK and in the US, Blaumachen in Greece, Théorie Communiste in France, Riff-Raff in Sweden, and certain more or less informal theoretical groups in the US (New York and San Francisco). Each of these projects continues its own existence. Also participating are various individuals in France, Germany, and elsewhere, who are involved in other activities and who locate themselves broadly within the theoretical approach taken here. 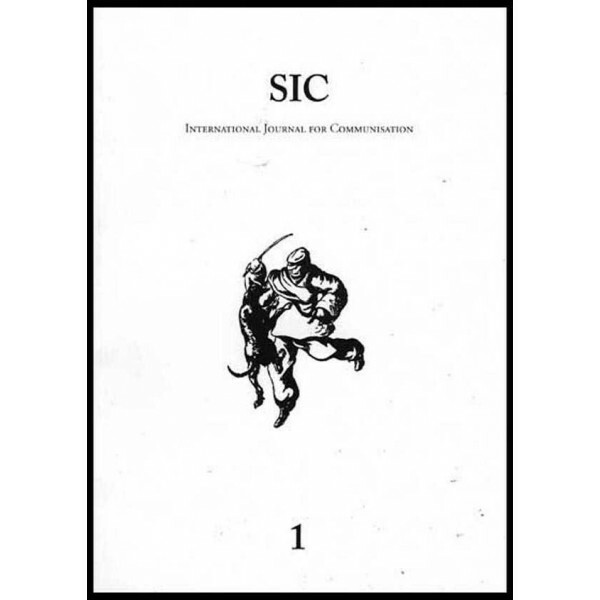 Sic is also the overcoming – in continuity and rupture – of the journal Meeting(four issues in French between September 2004 and June 2008) which set up an international meeting in the summer of 2008. Out of this gathering the project emerged as a truly international publication meant to explore the problematic of communisation within the conjuncture of the crisis that broke out in 2008. None of the participants in Sic consider their taking part as exclusive or permanent, and Sic may obviously embrace external theoretical contributions. During the crisis, the critique of all the mediations of the existence of the proletariat within the capitalist mode of production (mass party, union, parliamentarism), of organisational forms such as the party-form or the vanguard, of ideologies such as leninism, of practices such as militantism along with all its variations - all this appeared irrelevant if revolution was no longer to be affirmation of the class – whether it be the workers’ autonomy or the generalisation of workers’ councils. It is the proletariat’s struggle as a class which has become the problem within itself, i.e. which is its own limit. That is the way the class struggle signals and produces the revolution as communisationin the form of its overcoming.